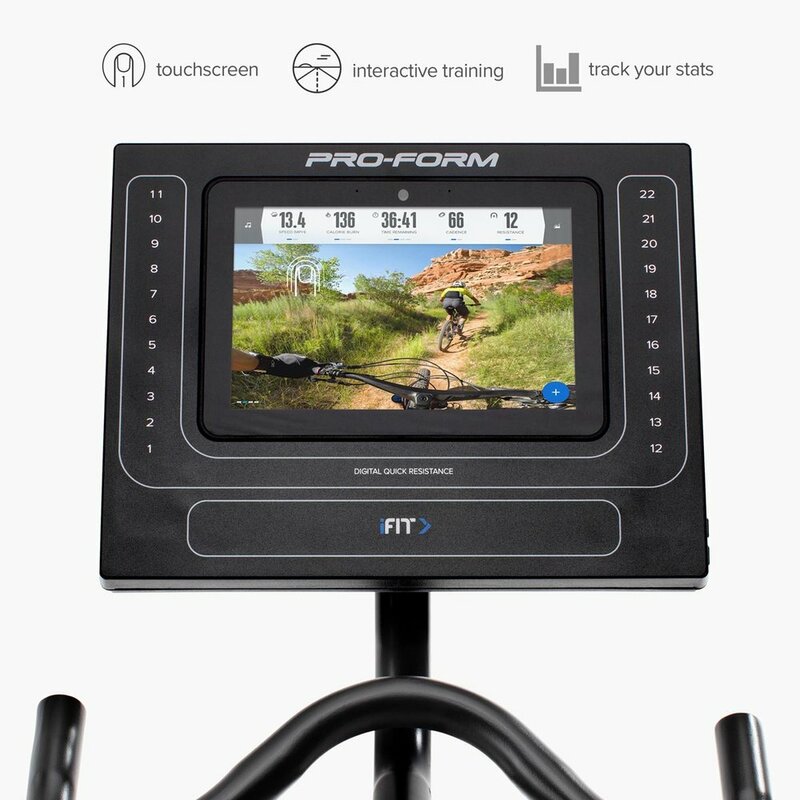 The Proform Studio Bike Pro is like having an indoor cycling studio right in your home with a 10” Smart Touchscreen Display in HD. This bike has 22 digital levels of resistance that are smooth, friction-less, and silent with its Silent Magnetic Resistance. The flywheel is made to perform with a fast gear ratio weighted to deliver a natural biking experience. The Studio Bike Pro comes with a 1 year iFit membership included so you can take studio classes, mountain rides and scenic destination rides with an elite trainer leading the way. Your Trainers can control your resistance to match what they are doing in the class or the terrain you’re encountering. In addition iFit offers off-the-bike strength and yoga classes for total body training on and off the bike. At this introductory price, the Studio Bike Pro is a solid option to consider. You get the excellent class trainers and a comfortable, sturdy bike that can take you to studio classes or ride a variety of exotic locations so it’s unlikely you’ll be bored working out on your Proform Studio Bike Pro. The ProForm Studio Bike Pro comes with 1 year of iFit Coach included so you get access to trainer led studio classes and awesome destination rides around the globe — No more treks to the gym with lost time getting there. You will have access to awesome trainers and classes that sync automatically to your bike’s speed and resistance so you don’t have to manually make adjustments your trainer can do it for you so you can focus. iFit trainers are with you every step and do give a heads up when they are going to make resistance or speed adjustments. These trainers definitely motivate and challenge you to hit your goals. Giddy, John, Tanya, Hannah and Betina are just some of experts you can choose to workout with, they are among the top in the world having won Men’s Health and Women’s Health trainer of the year, they have their own training clients like Jason Kennedy, Maria Shriver, Colton Hayes and keep themselves in tip-top shape. You also have 24/7 access to a wide selection of content classes so you can try on your own schedule. Convenient and motivating. You will burn more calories in the same time with HIIT training classes on the Studio Bike Pro. High Intensity Interval training (HIIT) changes up your work-out and for sure does make it more challenging but you will see results, so it’s worth it. The resistance adjustments are easy to make or with iFit studio classes the trainers can automatically increase the resistance! This is a cool feature that adds a little intrigue to your workout. The Proform Studio Bike Pro is full-body training session. Two 3-pound dumbbells are included with this bike so you can add upper-body exercises to your workout. The weights are stored behind your saddle (seat) on conveniently located holders. The bike’s Upright Frame with Commercial-Gauge Solid Steel Construction is very sturdy providing a stable ride. Track your progress and stats on the dashboard with one swipe on the 10” HD touchscreen displays your progress statistics as well iFit workouts to select. The ProForm Studio Bike Pro was made to supports weights up to 250 lbs and features Silent Magnetic Resistance that allows you to easily switch gears without interruption and provides up to 22 levels of resistance. The flywheel is designed to deliver a natural biking experience that is smooth, friction-less, and silent keeping up with you even on your longest sessions. The Frame comes with a lifetime warranty. handlebars that are ergonomically designed for comfort. ✓ Adjust the saddle (seat) vertically and horizontally to find the perfect fit. ✓ Moving this bike is fast and easy with the front-mounted transport wheels. the terrain or class content in your workout. ✓ Two 3-pound dumbbells are included. a 3-year Parts Warranty (includes Screen), and a 1-year Labor Warranty. ✓ This Bike’s solid frame designed to support weights up to 250 lbs. Shipping is Free to your front door. You can have the Bike setup in the room of your choice for $249. Great option to ease assembly and delivery if you’re not a DYI type person. ProForm provides a 30-day money back guarantee. You can add extended warranty and service plans in cart. With a Premium Service Plan you get all the above plus an Annual In-Home Maintenance check-up on your Bike. The ProForm Studio Bike’s price point offers excellent value. Additionally with iFit included for the 1st year (a $396 value) you get access to elite personal trainers, with over 10,000 workouts to do at home. 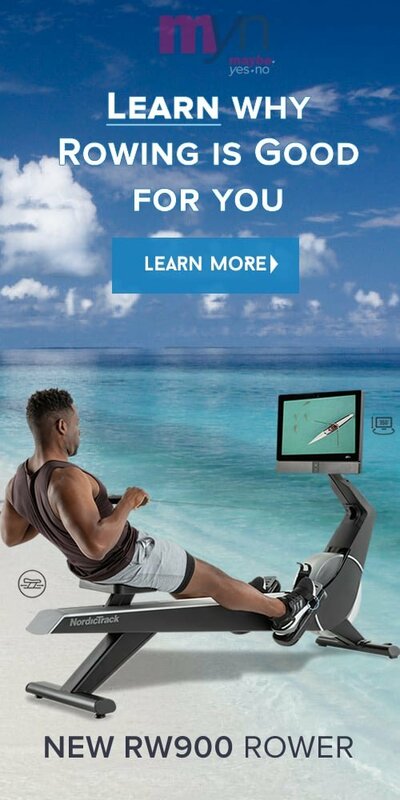 The bike’s Console design allows the screen to swivel 360° in either direction as well as tilt up or tilt down — a useful unique feature when viewing off-the-bike cross-fit classes like yoga and full-body sculpting. A wide variety of studio classes and trainer led rides, with daily studio cross-fit classes are streamed to your 10” Touchscreen in the comfort of your home. Real-Time Trainer Control where iFit coaches make changes to resistance and speed for truly interactive training — and you can check your stats with one swipe on the HD touchscreen. Choose the training you want with 50 on-board workout apps created by certified professional trainers. The support team is available to help with delivery, selection and questions and can schedule delivery and assembly. Cycling is a cardiovascular exercise which raises the heart rate and burns energy. An indoor cycling session will help you to burn calories, blitz fat and lose weight. The Proform Studio Bike Pro is for those folks who would like coaching as they bike. The trainers are some of the best and iFit has sent them all over the world to film with amazing destination scenery as a backdrop. Trainers point out interesting aspects of locations as they keep you engaged, motivated and challenged. The 10 inch HD touchscreen is a decent size to watch workouts and responds well with a simple swipe to view your stats or select different workout options. destination bike rides for a change of pace. cardio and weight loss benefits. and stats. This bike is durable, stable plus is a comfortable ride. — The ProForm Studio Bike Pro with its 10” inch HD touchscreen is a durable bike that will hold up to multiple users, daily use and longer rides. With 22 levels of resistance the bike has options to support anyone's fitness goals at an excellent price for value offered — especially with all the benefits of iFit. The included iFit membership offers thousands of workouts across the globe led by some of the best trainers. The Coaches are good and keep you engaged to help reach your fitness goals making this piece of equipment fun to use.